Wooden pod with private hot tub sleeps 2 people near Hornsea. 1 night stays permitted. No pets. 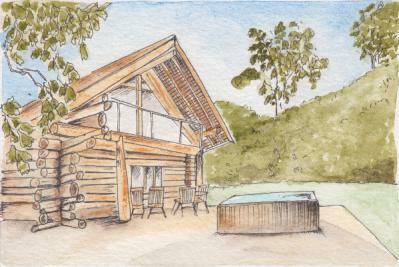 Cosy eco cabin with hot tub for a couple - peaceful location near Lake Windermere & bustling Bowness village. A secluded boathouse positioned over the water on the shore of Lake Windermere. Great location for water sports. Sleeps 2-4. 7 nt min stay. Quirky modern cottage for 2 in the grounds of The Swan Hotel south of Lake Windermere. 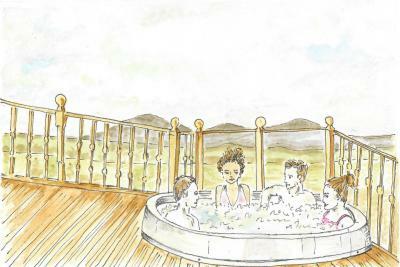 Use of hotel facilities including hot tub. Min 3 night stay. 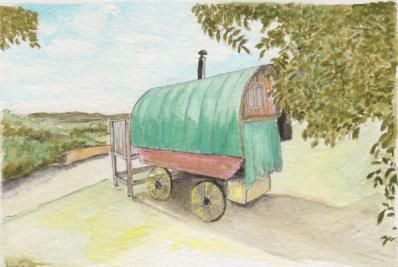 Shepherds Hut with hot tub and breakfast available on site. Sleeps 2 people near Filey. 2 night minimum stay. No pets. 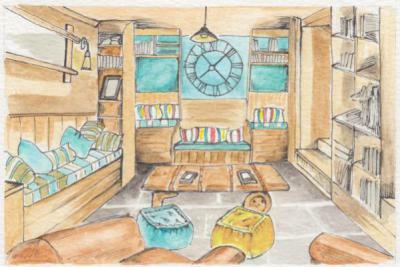 Beautiful Grade II listed holiday cottage with a stylish quirky interior design. Perfect for a romantic retreat. 2 night min stay. A former mill barn combining traditional features + contemporary design set beside tumbling waterfalls in Brampton. Sleeps 4. 3 night minimum stay. One of a selection of holiday homes sleeping 4-6 in Seahouses with sea + harbour views. Indoor heated pool + sauna. 3 night min stay. Romantic retreat for 2 in a characterful unique cottage with hot tub in the village of Melmerby near Penrith. Minimum 3 night stay. A romantic retreat in one of two cosy huts for 2 people. In beautiful surroundings and with views, 30 miles from Newcastle. Quirky yet modern style cottage by the River Eden in Kirkby Stephen sleeps 2 people. Minimum 2 night stay. No pets. Formerly a public convenience, now a novel coastal self-catering studio for 2 with views over Morecambe Bay. Converted chapel offers a great base to explore Kendal and the Lake District. Sleeps 4 people. 2 night minimum stay. No pets. Ground floor apartment within historic Waren Mill, set on the Heritage coastline near Bamburgh. Sleeps 5 + dog. Romantic wood cabin with private hot tub sleeps 2 in a lakeside location near Brandesburton. Minimum 2 night stay. Flexibility and freedom to discover the North with a classic, beautifully restored VW Campervan - perfect for couples or families. Tepee style lodge with hot tub sleeps 6 on a small site near Otterburn. Relax under the night sky and spot a shooting star! Min 3 night stay. A historic country cottage near Matlock, where your host provides all the creative meals. Sleeps 6 with a 2 night min stay. Large Georgian house with hot tub, games room and gated grounds sleeps 15 people in Appleby. Dogs welcome. 3 night minimum stay. 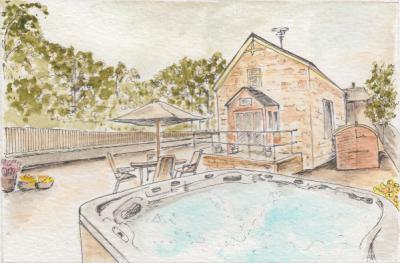 Enjoy a relaxing holiday in Kenwick Woods with a private HOT TUB, access to pool and gym nearby. Near Louth and the coast. 2 night min stay. Luxury pods in 20 acres of scenic land in the heart of Rossendale Valley. Suit romantic getaway / outdoor enthusiasts adventure. 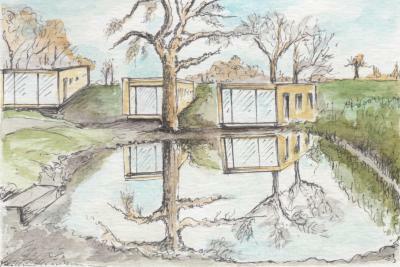 Quirky designed modern cottage in the grounds of The Swan Hotel in Newby Bridge sleeps 8 people. Use of hotel pool and hot tub. Min 7 night stay. 2 glamping pods each sleeping 4 people near Carlisle. Ideal for 2 families.Great views. 2 small dogs welcome. 3 night minimum stay. Romantic getaway for 2 in this studio style cottage with private hot tub and access to a swimming pool in Brampton. 3 night minimum stay. Modern barn conversion with hot tub, swimming pool and large garden sleeps 6 near Bellingham. Min 3 night stay. Stylish boutique Hotel has with memorabilia and wackey decor. Good for group nights out. In the middle of Liverpool. 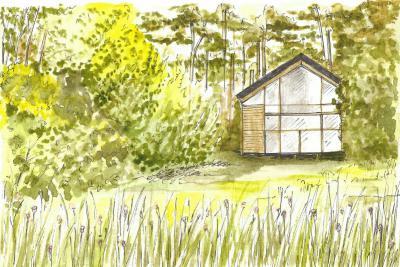 Modern wooden yurts in the countryside of Union Mills with private hot tubs. They sleep up to 4 people and are located by a river. Quirky renvated cowshed in Penrith sleeps 3 people. Weekly stays only. Dogs welcome. Stunning country house with hot tub, games room, gym and large garden sleeps 10 near Crook. 3 night minimum stay. Charming stylish farmhouse with 4 luxurious en-suite B&B rooms with views over the Eden Valley, near Penrith. Stay in shepherds huts in the grounds of a historic haunted stately hall near Preston. Each hut sleeps up to 4 people with a minimum 2 night stay. Former grand hall sleeps 10 people in Windermere. Quirky decor and great views. Minimum 3 night stay. Dogs welcome. Renovated mill worker's cottage sleeps 6 people south of Lake Windermere. Dogs welcome. Beautiful barn conversion with hot tub and wonderful countryside views near Barnoldswick sleeps 6. Minimum 3 night stay. Luxury off-grid Shepherd´s Hut for 2 adults, with stunning 360 degree views. In countryside outside the traditional village of Bellingham. 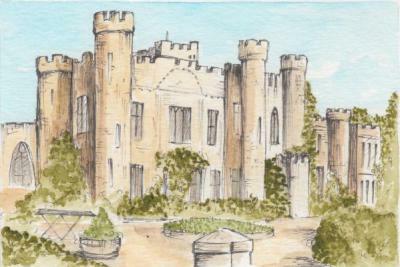 Apartment within Brancepeth Castle near Durham sleeps 3 people. 2 night minimum stay. No pets. A Grade l listed building dating back to 1260 for 4 guests at Haughton Castle with stunning grounds to explore. Romantic retreat for 2 built in 1560 on the site of an earlier medieval castle. 2 night minimum stay. Aduly only 300 year old former coaching inn with elegant bedrooms + traditional restaurant. Situated only a mile from Conwy Marina. 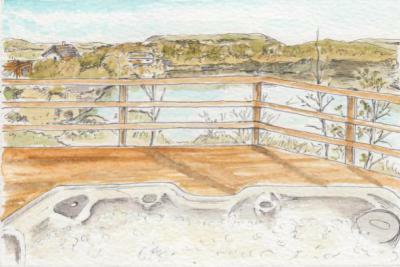 Cosy, quiet wooden pods with lake view, near Blackpool. Each pod sleeps 2+2. Dogs welcome. Historic cottage sleeps 4 people near Windermere. Over 12's only. No pets. 2 night min stay in low season. 7 night min stay in high season. Modern bright holiday home sleeps 4 near the coast at Flamborough. Min 3/4 night stay with Friday / Monday arrivals. Children and dogs welcome. Unique property featuring stained glass windows, beams and stonework in a light and spacious open-plan style. Sleeps 6 + dog. 7 night min stay. Beautiful converted water mill sleeps 8 people near Penrith. Dogs welcome. 7 night minimum stay. Cosy bell tent for 4/5 people with wood burning stove set in a village close to the banks of the River Ouse, a haven for wildlife. Modern cottage with hot tub sleeps 13. Access to a swimming pool, sauna and games room on 60 acre site with 4 other cottages. 3 night minimum stay. Church conversion sleeps 4 people near Windermere. No pets. 3 night minimum stay. Manor house with views over Lake Windermere and quirky historic design sleeps 4 people. No children under the age of 16. 3 night minimum stay. No pets. A restored detached 19th-century chapel with games room that sleeps 12. In a village near Barnard Castle. Previously a hunting lodge, now a charming building with spectacular views of Lake Ullswater in The Lake District. Cottage in a grade II listed property with hot tub, access to a pool and stunning views over the Lake District. Sleeps 6 with a min 3 night stay. Lake District views over the fells from every angle. Gorgeous accommodation for groups of 10/14/18. Beautiful site with luxury tents for up to 6 near Lancaster, with outdoor activities close by. Closed in winter. Mon / Fri arrival days for 3/4 nt stays. A friendly adult-only LGBTQ run hotel in Blackpool with award winning roof terrace, bar and restaurant. A refurbished Grade I listed fortified manor for up to 24 guests. Experience a historic retreat near Penrith. 3 night min stay. Dogs welcome. Rural site offering lakeside accommodation in safari tents or yurts sleeping 4-6 people near Brandesburton. Min 2 night stay. Open April-October. Beautiful shepherd's hut near Windermere offers you all the luxuries you could want tucked away in nature. 3 night min stay. No pets. 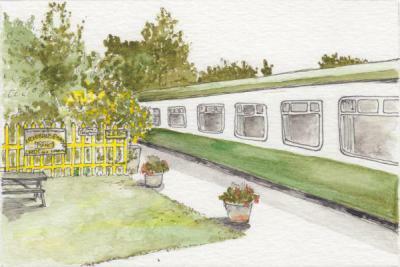 A historic train station converted into holiday accommodation for up to 6 and 3 dogs, near Appleby. 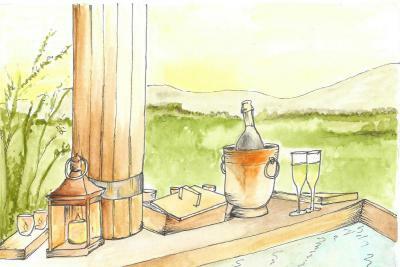 A countryside hotel set in beautiful gardens a short drive from the East coast of the island with a pool, grand bedrooms, spa and more. Cosy shepherd's hut with views overlooking the countryside offers a comfy rural retreat for 2 adults. No children or pets. 2 night minimum stay. Lodge in close proximity to Derwentwater offers a rural retreat for 2 adults in Borrowdale. 7 night minimum stay. No pets. Unique 18th century dovecote sleeps 2 in the historic village of Kinver. 2 night minimum stay.